Well what can I say, my wife bought me this saw for Christmas and she did an awesome job. I really like the size of the saw 10” is just what I need, also the Laser Trac system is extremely helpful. It came with a 10” 40tooth saw blade that does a great job, but if you are planning on doing detailed finished work I would get another blade. I built a mitre saw cart and all in all I couldn’t be happier. /! Congrats Ed. 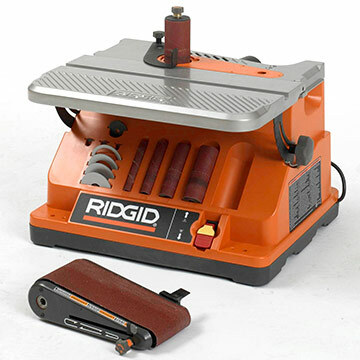 Santa dropped off a Rigid oscillating spindle sander for me and am now going out to buy material for a flip top tool cart to mount it on. Found the plans on the Sketchup 3-D warehouse which includes a drawer to hold all the loose parts which will fall out once I flip it. I’m not even going to pretend I know what kind of tool that is but the cart sound like fun…..
Good for reducing the drudgery of sanding inside curves on bandsaw boxes, router templates, etc. Tried it out on a piece of 3/4” poplar using the 80 grit sleeve that came in the box – very aggressive. I have used the same saw and trying to tune it up I ended up breaking the fence. To start with the fence was not straight and I could only get one side to be perpendicular to the blade. I tried to tweak the fence by bending it, but it was too far out and snapped before getting each side of the fence coplanar and perpendicular to the blade. The replacement fence was better and only required a little tweaking. I’ve seen some negative comments about the handle. What is your impression not that you’ve had it a while? 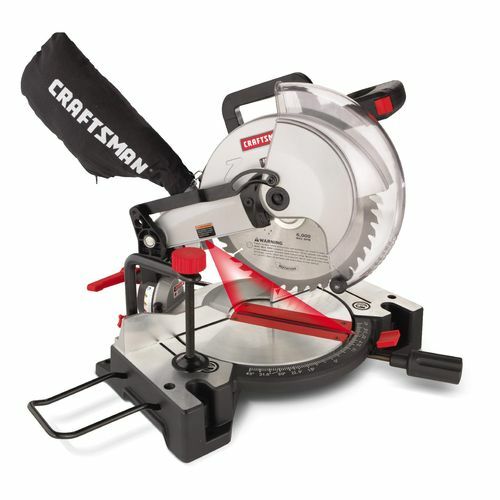 Is the handle the week point of this saw? Thanks for your quick reply Ed, I’ll keep this saw in mind. Thanks for the review. I’ve been wanting to buy one. Had one for about 14 years worked well. Several items broke over the years and until the back fence broke I was okay with it considering the abuse I have put it through. My Dad retired the 1st and brings me his almost new 12” Dewalt so I upgraded. I plan to repair the old girl and use it as needed when I work away from the house.